THE SKINNY: This was one of those random "special offer" items I put into my online Sephora shopping cart to reach the free shipping threshold. The two products are sample sized and sold together. Tarte's Lipsurgence Skintuitive lip products are supposed to change color, in this case various shades of pink, based on your skin's pH. Mine is sort of a pale magenta pink. The color is kind of meh, mostly because I'm not a loves-pink girl. But I do like the way the products feel on my lips. 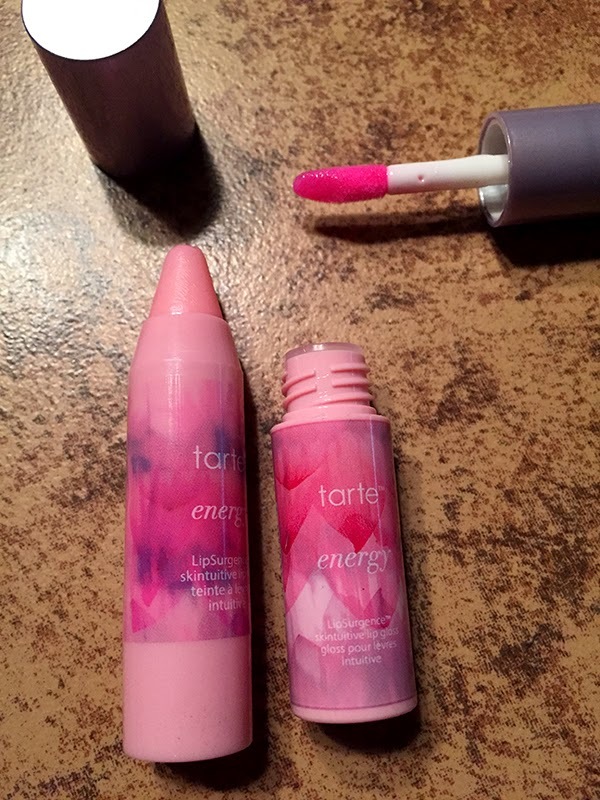 The "tint" version is sort of a lip crayon with a Chapstick consistency. It's moisturizing and lasts about as long as my Carmex does. It is a little fragile, though. I've broken off the tip when it gets too warm in my bag and had to smush it back into place. The "gloss version" is a gooey gloss that leaves a generous coating on my lips and really helped with the late-winter dryness. So, product great. Color OK. At least it wasn't a really obnoxious pink, right? CHECK IT OUT: Tarte Lipsurgence Skintuitive Lip Tint has a lot of moisturizing ingredients in it. Find a complete list online.